Another kind of silly prompt. 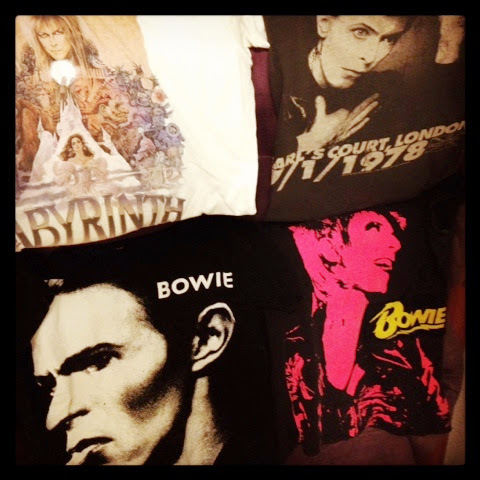 Since it isn't specific, I decided to take this picture of all of my David Bowie shirts. Or, those that I have up in my dorm room, anyway. At home I have TONS more. Really, who could only have four?! Not this girl. Who doesn't love David Bowie? I always have room in my drawers for more DB shirts. I wish I had more of them up here with me.